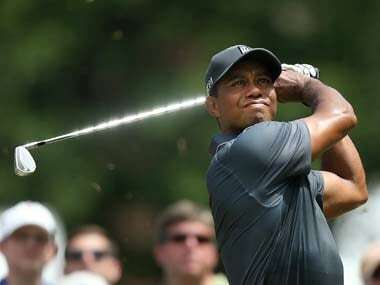 Hong Kong: Justin Rose said Tiger Woods is looking fit, healthy and motivated ahead of his highly anticipated comeback at an exclusive charity tournament next week. The pair will play together at the invitational Hero World Challenge in the Bahamas, Woods' first tournament since February, after undergoing back surgery. "I saw him a couple of weeks ago, he looked good. A couple of my friends have been playing with him, and said that he's in good shape," said Rose at the Hong Kong Open on Friday. "That's the most important thing. "Obviously it's always difficult coming off a full year or whatever it's been without a scorecard in your hand. "But he looks fit, healthy and I think from there he can play golf, right? He's obviously got all the talent in the world. "And I think he's motivated too, which is great. If he puts his mind to something I'm sure he can achieve what his goals are." He underwent surgery in April, his fourth operation on his troublesome back, and has been posting videos of himself in practice. Woods' return from his latest injury is sure to draw intense scrutiny, but Rose said the Bahamas competition will provide the "perfect" opportunity for his return. "It's obviously great to have Tiger back, it's the perfect event for him to come back to. It's obviously a very small field. "It's pretty low-key, if there's ever a low-key tournament for him. Wherever he plays he draws a pretty big attention and crowds and media. "It's just great to see him back feeling good within himself, and his golf can build from there." Rose was speaking after his second round at the Hong Kong Open, where he carded a one-under-par 69 in a turbulent round to leave him three shots off the morning leaders. The Hero World Challenge, an invitational event to benefit Woods' charity foundation, will take place from next Thursday in Albany, close to Rose's home in the Bahamas. Asked what can be expected from Woods on his comeback, Rose said: "I think just playing 72 holes." "If he performs like he did last time at the Hero that would be fantastic. I think he had 24 birdies. He led the field in birdies. "He obviously had a bunch of mistakes which come from rustiness. But if we see that type of form that will be very encouraging." 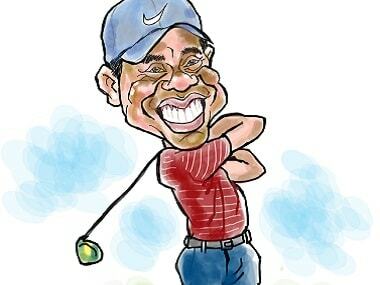 Woods last won a major in 2008, and has battled personal demons. In May, he was arrested for driving under the influence after being found asleep in his Mercedes-Benz by a roadside.